One key component of any sustainable system is a closed loop cycle. In nature, there is no waste–all byproducts are recycled through systems to feed another part of the overall system. As a neighborhood, we must try to limit the amount of waste created as well as the amount of waste dumped into landfills. Through our Zero Waste Initiative, Sustainable Flatbush works to divert usable resources from the waste stream through reuse, composting, and recycling. Here are some past and present examples of what Sustainable Flatbush is doing to support this cause. New project: Support our composting efforts on ioby! We recently launched a project on ioby – an online microphilanthropy initiative for NYC environmental projects – to raise funds to build a 3-bin compost system at our new communal garden on Church Avenue. The compost bins will provide nutrient-rich fertilizer for the garden while engaging residents in discussions on waste reduction as part of the garden’s community activities. We are actively seeking supporters for this project as compost is a key component of a zero waste initiative, especially in a community garden–so help us realize this goal and pledge a donation right now, right HERE! 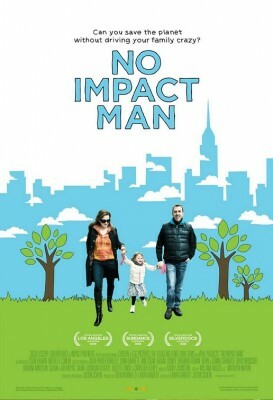 In order to educate and promote a less wasteful lifestyle, Sustainable Flatbush co-sponsored, with Flatbush Food Co-op, and Ditmas Park West Neighborhood Association, a screening of Colin Beavan’s self-assigned challenge to live for a year creating as little impact on the environment as possible. Addressing issues of consumption, transportation, and electricity, Beavan documents his struggles and successes to live as efficiently as possible. We kicked off Earth Week celebrations by partnering with Brooklyn Center for the Performing Arts and Brooklyn College Community Partnership to produce the 2010 National Grid Earth Day Celebration, bringing together the following organizations, artists, and performers: Brooklyn Botanic Garden; Garbage of Eden Designs; the ArtLab of the Brooklyn College Community Partnership; Seeds, Soil & Sunshine (seed starting workshop); Plant Secrets (children’s gardening); New York City Fire Department; New York City Department of Parks & Recreation; Nydia “Liberty” Mata; Tova Ackerman’s Puppetry In Practice; Campus Road Garden at Brooklyn College; Puppeteer Ronny Wasserstrom; Teaching Artist Susan Marinoff; and the Bar Mitzvah Project (selling reusable bags to benefit the Rainforest Alliance). 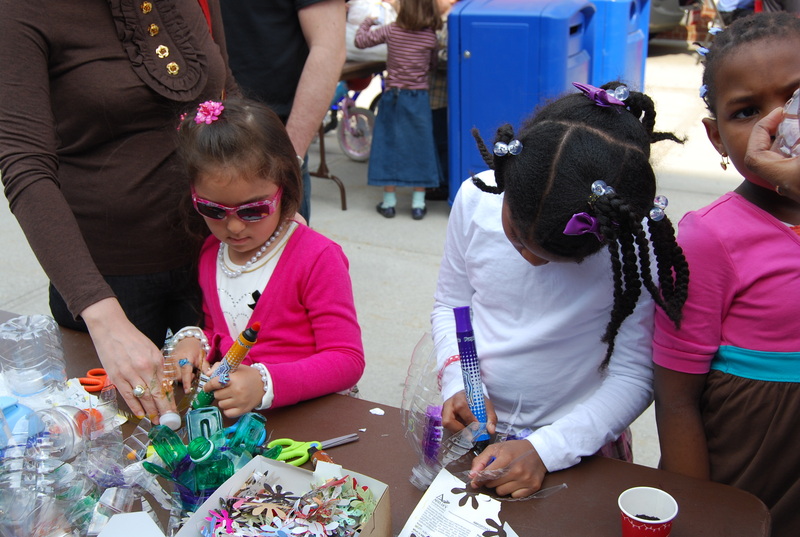 Our main demonstration, aligned with the Zero Waste initiative, was creating colorful flowers out of used plastic bottles with children. 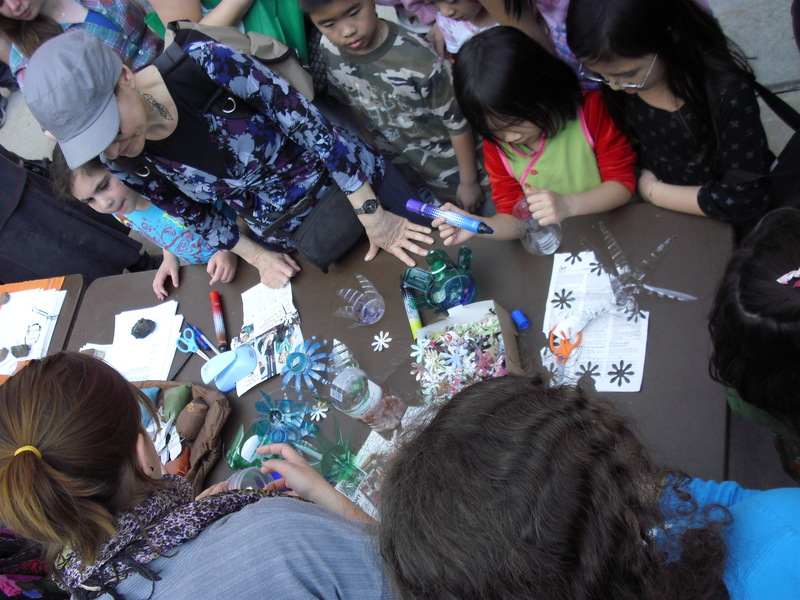 This project encouraged kids and parents to think more creatively about how to divert waste from the landfills and more generally about rethinking the potential of disposable items. If you like what our Zero Waste Initiative is doing, help us continue showing Brooklynites how to reduce, reuse, recycle, and compost! 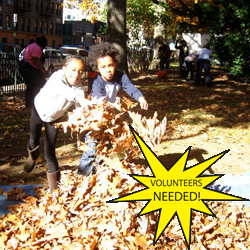 You can make a secure, tax-deductible donation to Sustainable Flatbush HERE! Be our Valentine: support our compost bin project!